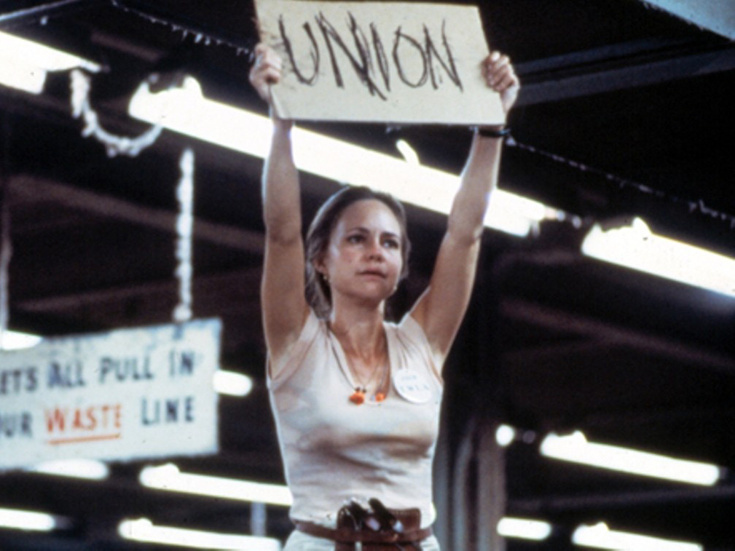 Sally Field in the film "Norma Rae"
The hit 1979 film Norma Rae could be headed to the stage. A musical adaptation is in the works featuring a score composed by Grammy winner Rosanne Cash, according to a story in The New York Daily News. Norma Rae follows a factory worker in North Carolina who begins involvement in labor union activities after her health and that of her colleagues at a textile factory is compromised. The film features an Oscar-nominated screenplay by Irving Ravetch and Harriet Frank Jr. and an Oscar-winning performance from Sally Field in the title role. Rosanne Cash is a four-time Grammy-winning singer-songwriter. The potential Norma Rae musical would be her first foray into musical theater. Cash is the oldest daughter of country music star Johnny Cash, whose music was adapted into the 2006 Broadway musical Ring of Fire. Additional creative team members for the Norma Rae musical is currently unknown, nor is a development timeline yet in place.